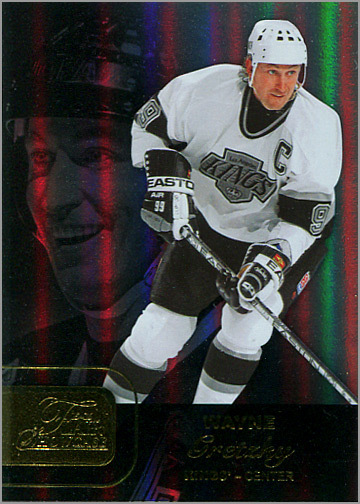 Fleer is quickly becoming that go-to set that Upper Deck puts out when they want to infuse some 1990s nostalgia into the hockey card market. In the past, they released a set called Fleer Retro, which played heavily on 1990s base card and insert designs. 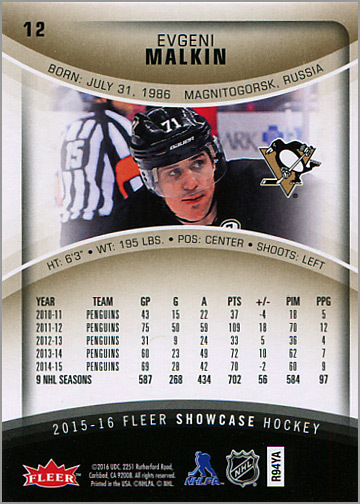 The 2015-16 Fleer Showcase set is sort of their retro set of this year, with designs from two decades ago. A box costs around $110 online, and has 12 five-card packs. Here are the results of my recent break of Showcase. 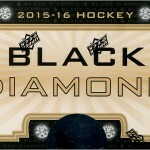 Normally, I’m pretty indifferent to most designs by Upper Deck for their higher-end sets like SPX, SP Authentic, Black Diamond, etc. This season’s Fleer Showcase base set is a cut above, though, with an eye-catching design. 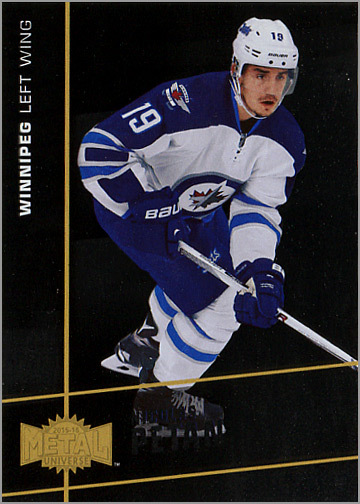 The player photo is cut out and superimposed in front of a gold-and-white background. Gold foil behind the player makes a sort of a curvy X shape, which draws your eye to the player. (As a side note, this actually would have made a good design for an SPX set, with the X shape in the background.) 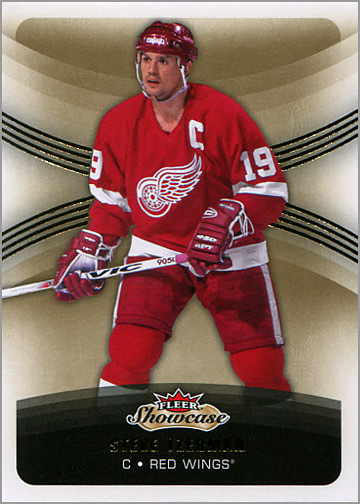 The player name — also in gold foil — along with the Fleer Showcase logo, position and team are put at the bottom and out of the way. Card backs show some biographical data (height, weight, etc.) as well as the past five seasons of statistics. 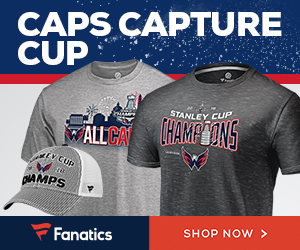 For retired players, a five-year span from a epoch in the player’s career is used. 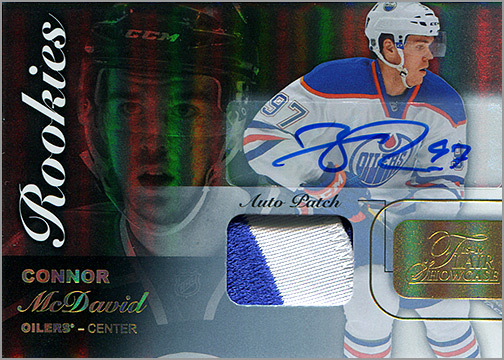 Well, if you were going to wish for an autographed card with a piece of a jersey patch, I guess you can’t do better than Connor McDavid. This card is super-thick, printed on shiny foil stock and serial-numbered out of 35 copies. Does it earn the coveted “rookie card” status? I don’t know. 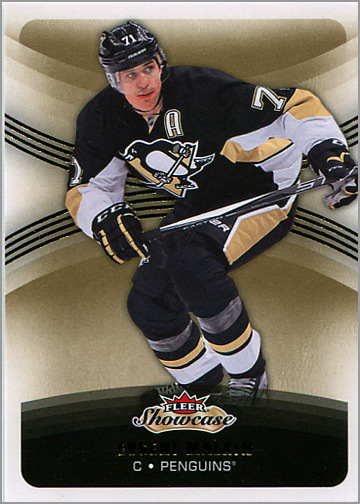 It is part of the “Flair Showcase” insert set, so probably not. The patch piece is “event-used” from a rookie photo shoot. 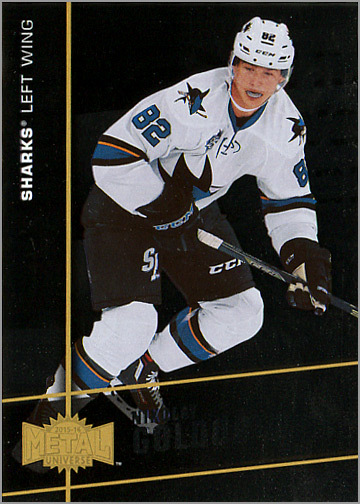 This rookie card of Derek Forbort is numbered out of 499 copies. 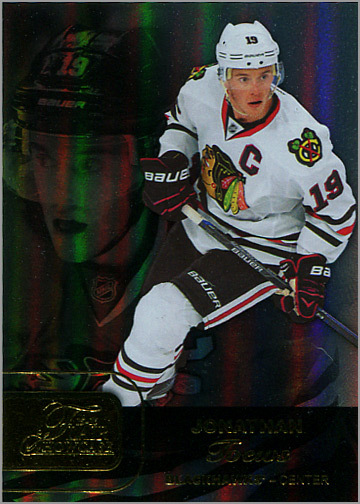 Like the McDavid card, it is signed on a clear sticker that was applied to the card. The patch piece is also event-used from a photo shoot. 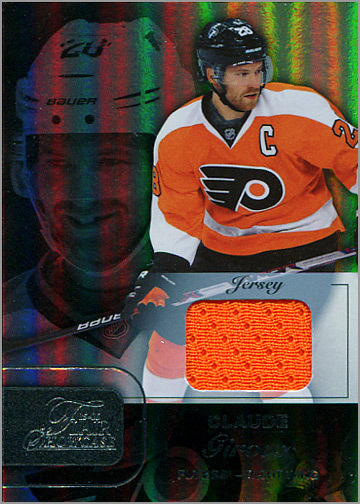 On the other hand, the jersey piece used on this Claude Giroux jersey card is indeed game-used. Fortunately, it is orange too. 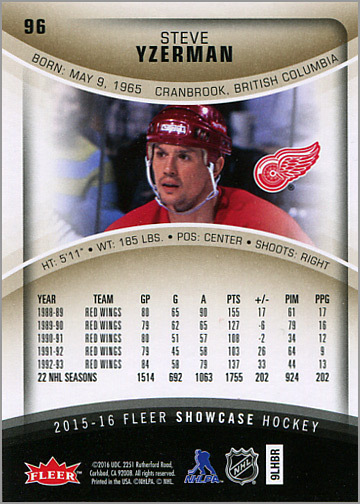 2015-16 Fleer Showcase has a lot of different “retro-inspired” inserts. 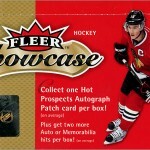 These two Flair Showcase cards, of Jonathan Toews and Wayne Gretzky, look like 1990s basketball cards. Yup, basketball. Flair Showcase basketball came out during the 1996-97 season. And now you know. 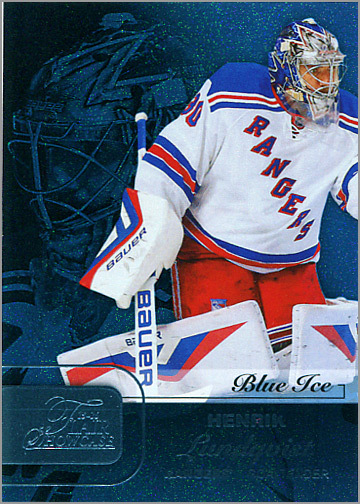 Serial-numbered to 99 copies are these Flair Showcase “Blue Ice” parallels. 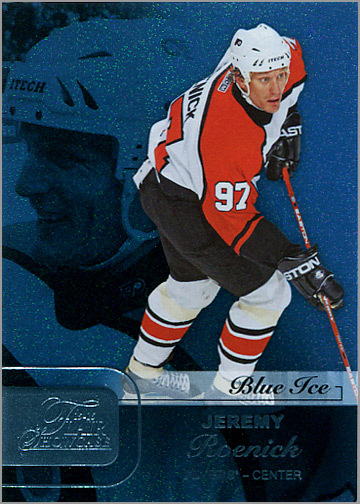 I’m pretty sure that the 1996-97 Fleer Showcase Basketball set did *not* have “Blue Ice” parallels. I’d even bet money on it. Anyway, the two that I got here are Jeremy Roenick and Henrik Lundqvist. 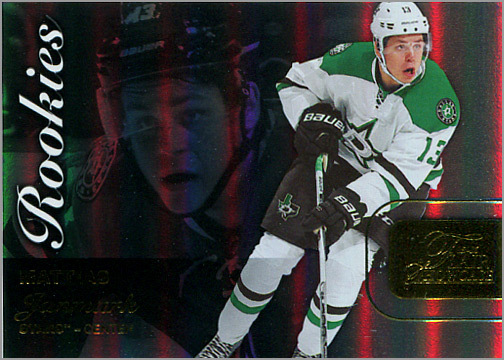 The sole Flair Showcase Rookies card that I got was of Dallas Stars center Mattias Janmark. It is not serial-numbered, but it sure is shiny! 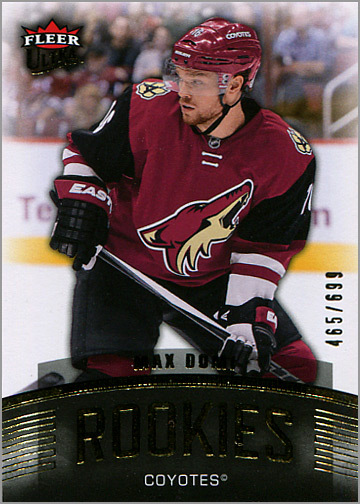 This Fleer Ultra Rookies Max Domi card is limited to 699 copies. 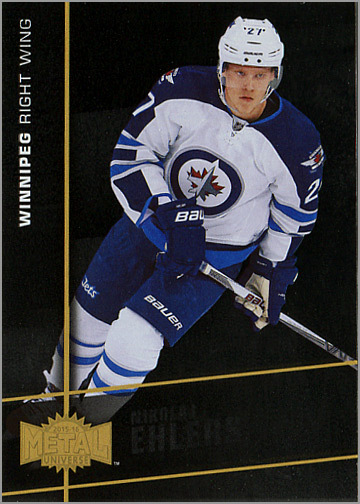 Printed on shiny stock are these Fleer Metal Universe rookie cards of Nicolas Petan, Nikolaj Ehlers and Nikolay Goldobin. I scored a Nick Trick! 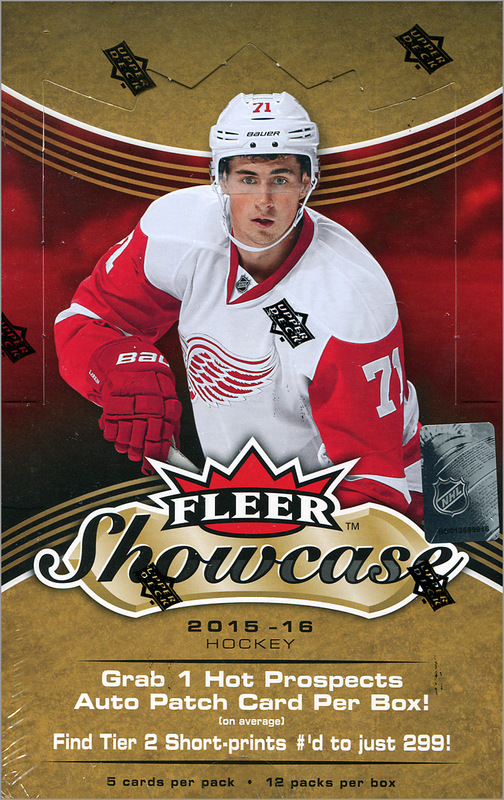 What I like about 2015-16 Fleer Showcase: Seven rookie cards — or at least seven cards of rookie players — per box is pretty great, considering that some higher-end sets only put one or two RCs per box. The variety makes for a fun box break, and there is definitely a nostalgia factor with the throwbacks like Metal Universe and Fleer Ultra. The base card design is appealing, too. Wow quite a box Sal! That seems like a fun product for sure. 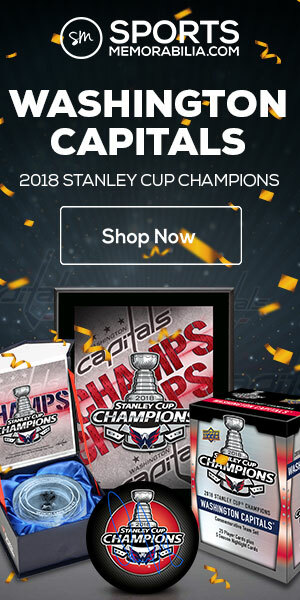 I think you probably got the case breaker box with that McDave card! That’s hot, hope you dropped it into a protector immediately. Can’t say I’m crazy about the base cards but the others all look pretty nice. While the rainbow cards look really neat, the downside to them is that Sharpie’s don’t write on them very well for autographs. I’m sure this sounds like a very meager problem, but when you’re trying to balance a handful of cards and pucks, a wet autograph is precarious. Just my 2 cents, but it’s what I think of when I see them.